Harvard University Press’s Annotated Edition of Pride and Prejudice–which I want with every ounce of my being. Today is Pride and Prejudice’s 200th anniversary. To celebrate, the BBC is apparently going to throw a ball. Not just any old ball—they’re recreating the Netherfield ball (www.independent.co.uk/arts-entertainment/books/news/bbc-to-recreate-netherfield-ball-for-200th-anniversary-of-pride-and-prejudice-8453439.html). Will Nichols make enough white soup in time? Will Lydia behave abominably? Will Wickham do the honourable thing and simply stay home? And will Mrs. Bennett talk endlessly (and rather loudly) about getting rich husbands for her daughters, while Mary tries her best to monopolize the pianoforte to display her accomplishments? We’ll have to wait until the spring to find out, I’m afraid. I only hope that BBC America or PBS does us all the favor of showing this delectable morsel, or I’ll feel as bereft as Kitty if she had no partner at the dance. In the meantime, this anniversary provides the perfect excuse to reread an old friend—one that I discovered in seventh grade (if that gives you any indication of what a book nerd I was, even in middle school) and that has provided an abundance of joy since then. In my house, our thoughts will be at Pemberley tonight. We’ll have hazelnut scones with clotted cream to celebrate (no white soup, alas), while we try—in vain!—to control our feelings about this book. I am striding purposefully with my metaphorical mullet blowing in the wind. I am heading to the oddly shimmery place of glory. Sure, they come in all shapes and sizes–but the norm for today’s picture book texts if 1,000 words or less. 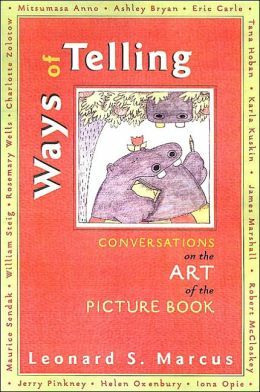 Here is a question that has been plaguing me: why do picture book texts have to be less than a 1,000 words? It’s not that some stories can’t be told in less than a 1,000 words—many can, and being able to create story and character in so few words is an art unto itself. But why does the publishing world feel so strongly about this length (and, ideally, even shorter lengths)? Shouldn’t the word count fit the story? I ask not just as someone trying to write picture books. I ask as an editor who’s part of this publishing world and as a mother of a kiddo who’s just old enough to read on her own, but still wanting me to read longer stories to her—and still wanting stories with pictures. So, longer picture books would be, for us, a boon. Sure, there are early readers. But having read an awful lot of them this year, the stories aren’t as rich and the illustrations aren’t of the same quality that you find in a good picture book. So, that brings me back to the idea of a longer picture book (or storybooks). As someone who grew up loving DuBose Heyward and Marjorie Flack’s The Country Bunny and the Little Gold Shoes, and who has a keen appreciation of books like Michelle Knudsen and Kevin Hawkes’s Library Lion, I want more. And I admit, I want to have the freedom to write more…sometimes. Should the word count fit the story? Or the other way around? The view from Bearskin Neck, Rockport. In our house, we try to not to use time-outs as punishments so much as times to sit for a spell, regain one’s composure, or even think for a moment or two about some bad decision-making. Basically, it’s parental-enforced reflection time. But hey, why should the little kiddo get all the reflection time? This weekend, it was the parents who took a brief time-out–with a small jaunt to Rockport, MA. We weren’t gone for long, but we did have a glorious time. Tea was drunk. Jane Austen was read. Hours were spent chatting. No work was done. The lovely Emerson Inn By-the-Sea. Yes, I do have deadlines for school looming. Yes, I have writing to do, books I actually have to read, and papers to write. I did none of them. This is a rarity in my world, so I reveled in every moment–and now want to share some pictures of our version of a time-out. There’s granite everywhere–they don’t call it Rockport for nothing. The view outside the front door of the Emerson. Obligatory shot of Motif #1. Best combination of signs ever (yes, that’s a “no horses” sign up there). Best of all, with all that rest and relaxation, I got an idea for a new story. See, time-outs really do work.